Cristine has some fantastic former students. One of them is Sarah Berquist who is now a lecturer at UMASS. Along with her partner, she also has a mushroom business. So we occasionally get fresh, interesting mushrooms for dinner. These guys showed up last night in a brown paper bag. Like most other photos to do with the natural world that I post here, I have no idea what these are called. But fried up in butter, they tasted great. 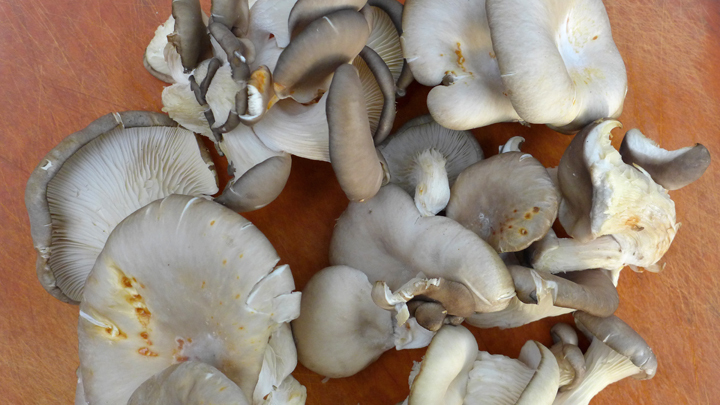 so many mushroom varieties out there, but these remind my of the oyster mushroom that they grew at a farm I worked at when I was in high school.